The Rogue River has a well-deserved reputation as one of the most beautiful rivers on the West Coast, and probably the most exciting way to see and experience it is by raft. Merlin is the perfect departure point for this incredible river adventure. Your rafting journey will take you through the Rogue River’s most beautiful and scenic parts. There are many recreational sections to play in. Trips are available up to 40 miles long through the “Wild and Scenic” stretch. A pioneer in this field, Orange Torpedo Trips provides a rafting experience that is both family-friendly and adventurous enough for the most eager thrill seeker. As the first rafting company to lead guests down the river in inflatable kayaks, they are experts in this form of river-running. 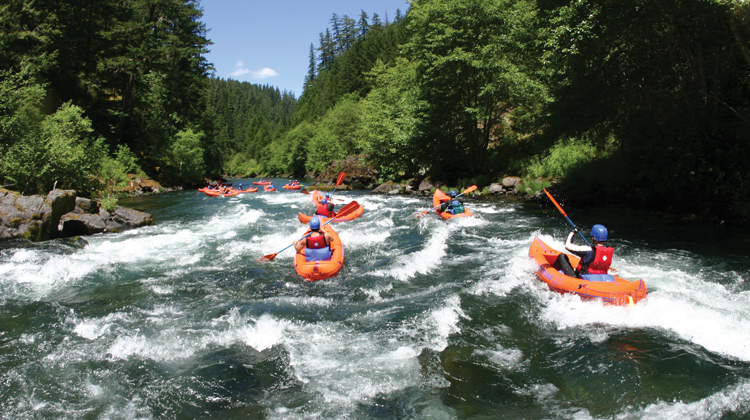 Orange Torpedo Trips has been providing whitewater rafting adventures on the Rogue River and Klamath River (among others) for over four decades. For the adventurous, their customized, time-tested guiding style gives you the opportunity to learn how to paddle your own inflatable kayak down the famous rivers of the Northwest. If you’re looking for something a bit more relaxed, then ride an oared or paddle raft with one of their friendly guides. Their ability to cater to the different levels of excitement each individual desires allows them to create a great whitewater rafting vacation for just about anyone. Orange Torpedo Trips offers options ranging from day trips to overnight adventures, two to four days that cover nearly 40 miles by river. You may choose to camp out under the stars, stay in historic wilderness lodges, or combine one or two nights of camping with a night of lodging. With a stopover in a rustic wilderness accessible only by water or by trail, this is an incredible experience. 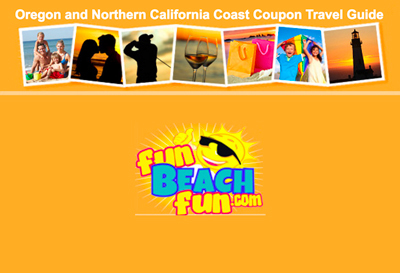 Check with Orange Torpedo Trips to make sure you plan the trip that’s right for you.